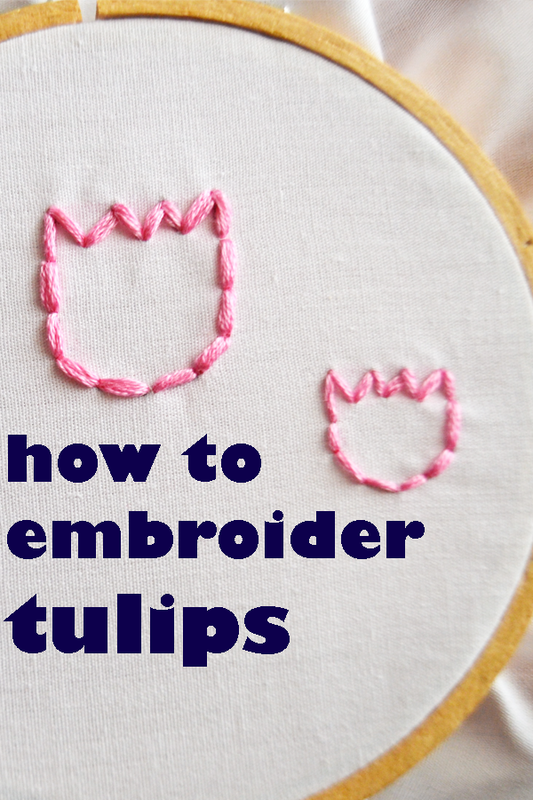 While continuing to await the arrival of rescue fabric, I've got a simple embroidery tutorial on how to make a tulip. 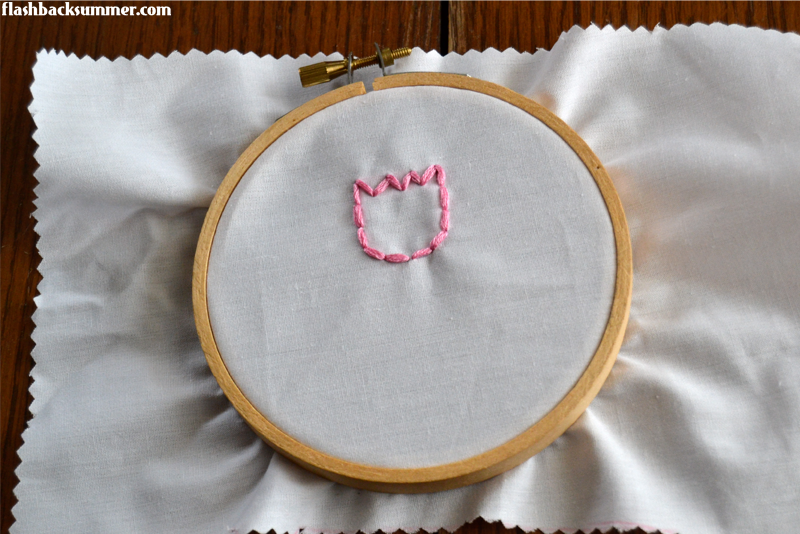 This is probably the easiest of the flower embroidery tutorials, so if you've never embroidered before this could be a great intro project! Embroidery is a great way to add some unique personality to garments you already have in your closet. Whether it's a nice floral detail or a monogrammed initial, it immediately personalizes your garment. 1. Thread your needle. 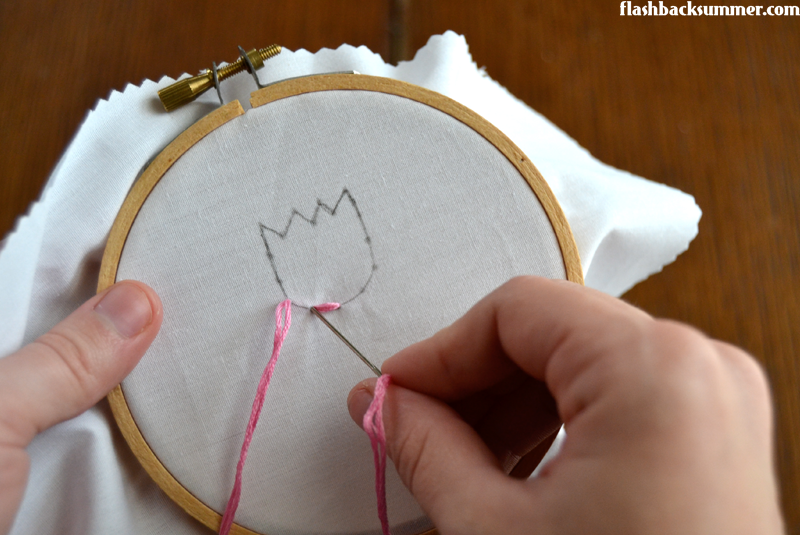 On the fabric, draw your tulip as large as you would like it to be by first drawing a “U”, then starting at the top of the “U,” draw four points . This is your tulip template. 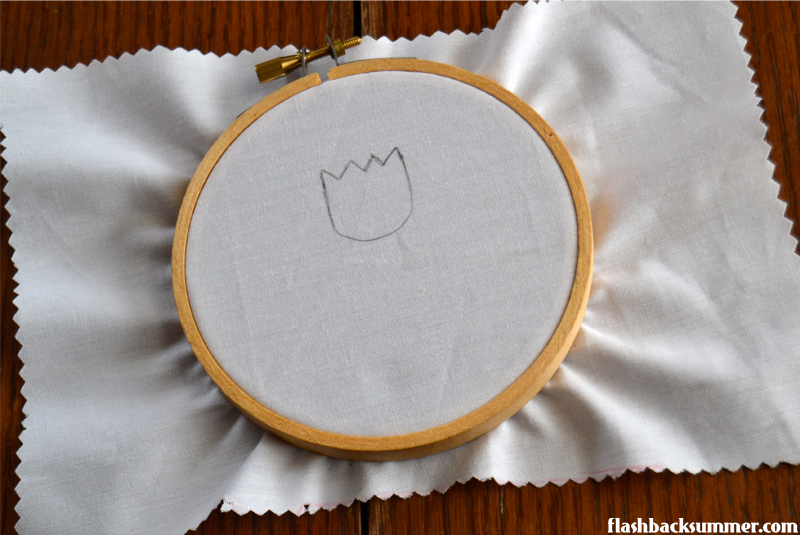 Put your fabric in a hoop. 2. Next, you’ll be stitching on the lines you just drew. If you’re nervous about keeping your stitches even, draw evenly spaced dots along this line to mark where your needle will go through the fabric. Keep the dots close enough together that you’ll be able to “curve” the line of stitches in the design. Starting at the bottom of the tulip, go up through your first dot, and down through the second. Next, go up through your third dot, and down through the second. 3. Essentially from this point on you’ll be sewing one dot forward, one dot back. So your next stitch will go up into the fourth dot, down into the third. Next, up into the fifth dot, down into the fourth, and so on all the way around the tulip. Well, this is going to be a fun post. 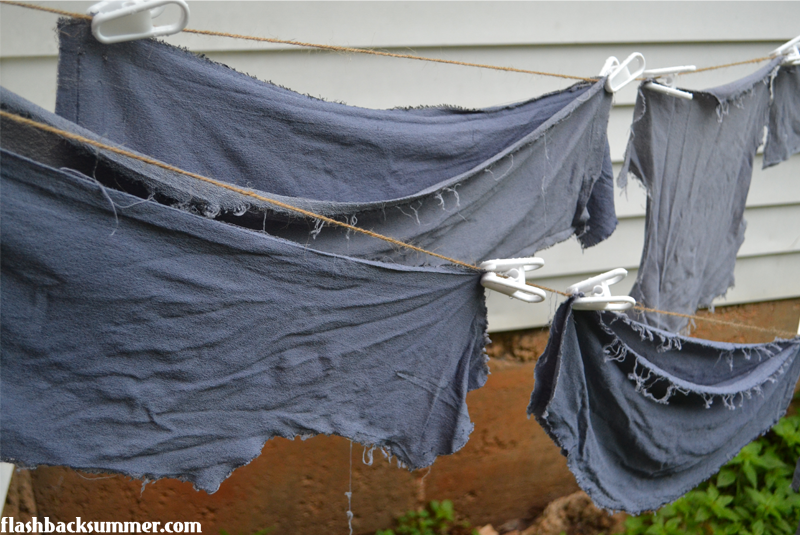 Basically, I learned several lessons about dyeing fabric. Some of which are things I will definitely repeat every time I dye something; others are things I will never, ever do again. Let me share the learning with you. 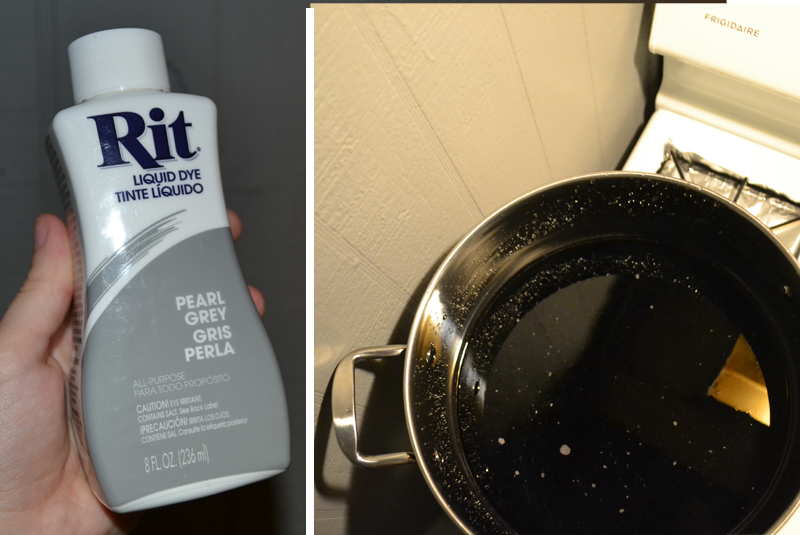 I put in 3 gallons of water and half a bottle of the Rit Pearl Gray dye, along with one cup of salt. I stirred it a LOT to make sure everything was thoroughly mixed before any fabric got to it. This prevents blotches and streaks, too. 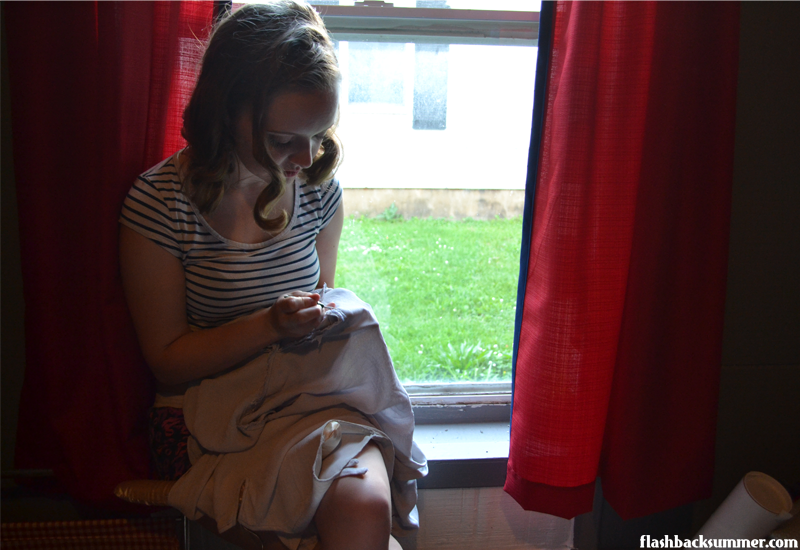 When the water was lukewarm, I tossed the fabric pieces in and let them sit for 15 minutes at that temperature. 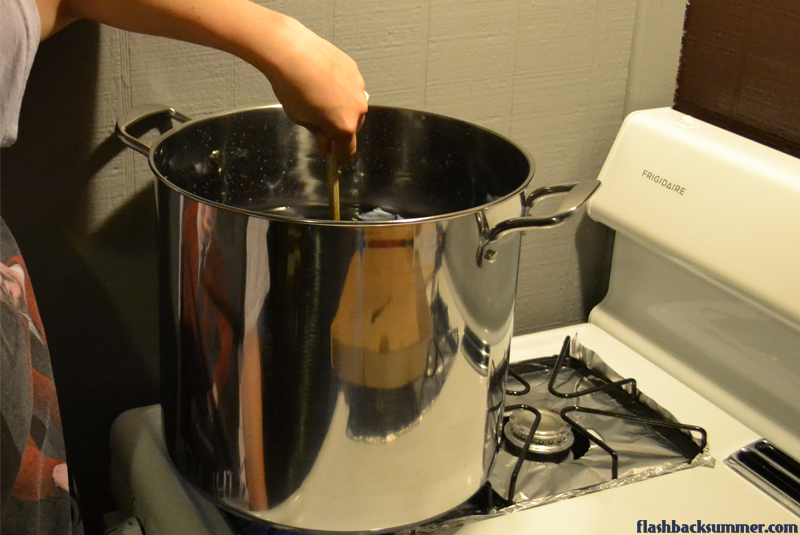 Next, I raised the heat to boiling (well, steaming really, not a rolling boil), and left it in for 30 minutes. (I stirred the entire time. That is important. I also made sure to try to keep pieces untwisted and to give each piece equal time at the bottom where the heat is greatest.) I turned off the heat and let it sit for another 30 minutes, then rinsed it all in cool, clear water. As I began hanging the pieces outside on the line to dry, I noticed a horrible thing. I think the fabric shrank. But mostly in width, not evenly overall. 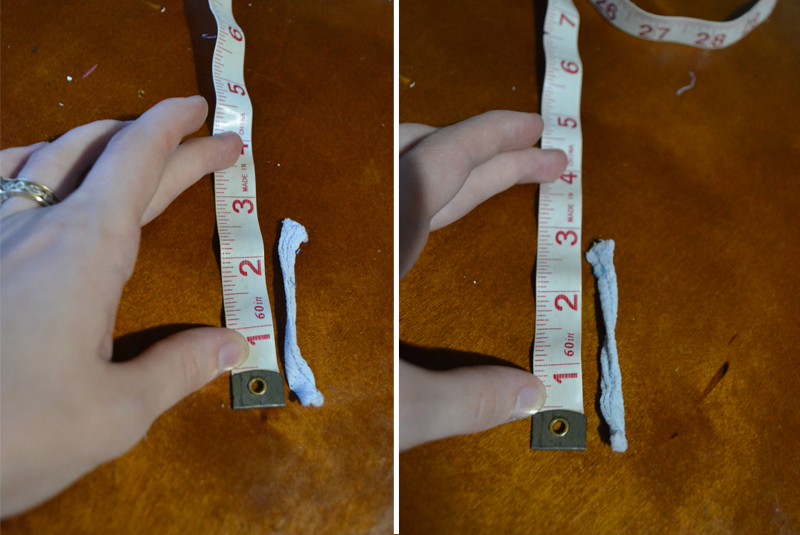 While some people recommend trying to re-stretch rayon that has been shrunk while it's wet, DO NOT DO IT. (I didn't, no worries.) 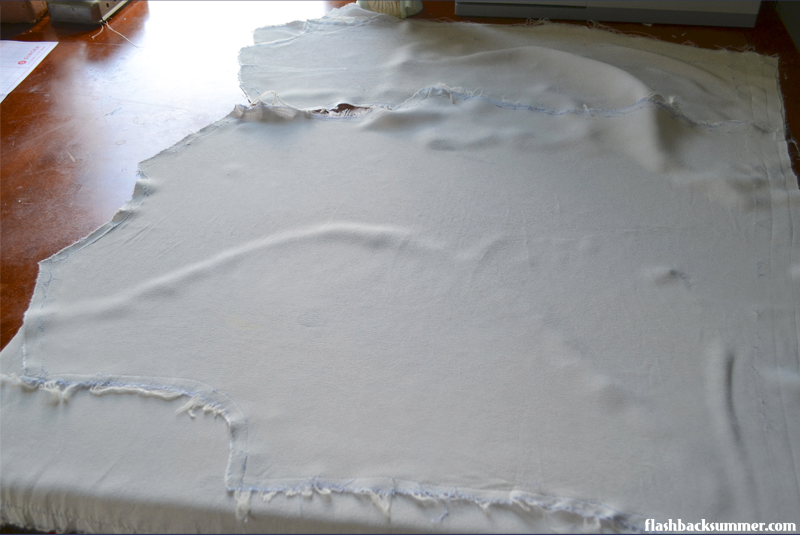 Rayon, especially vintage rayon, loses a lot of its strength when it's wet, so the odds are good that you will tear the fabric rather than get it back to its original size. Resist the temptation! After having a dramatic moment last night after realizing I shrank the fabric, I have come up with a plan to save the suit. 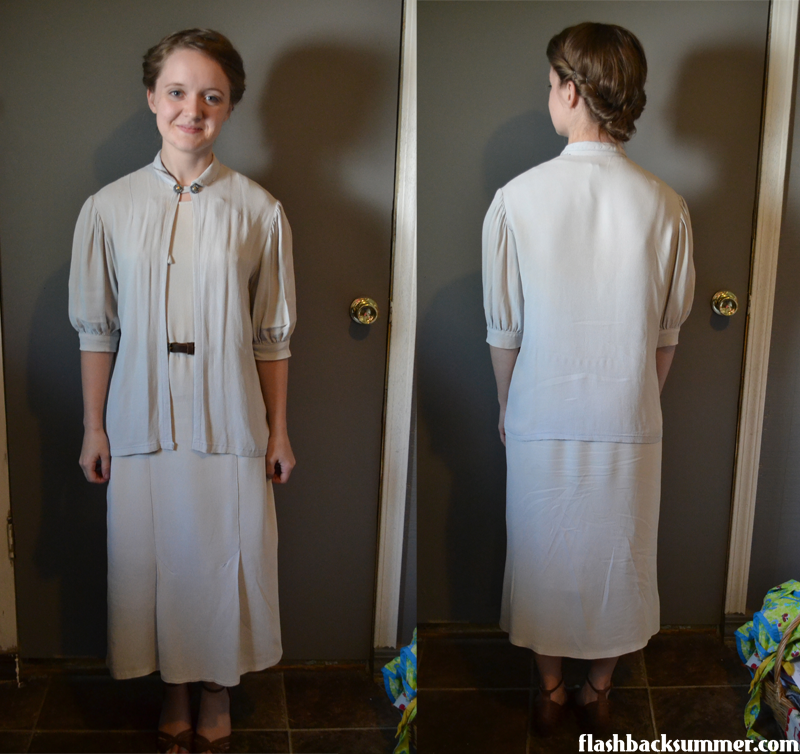 I'm following some recommended ideas for adding width to garments found in the 1938 book, and I think I'm actually going to end up liking this piece more than before! However, until some rescue fabric arrives we're going to take a brief recess on this project. Lesson learned, I stirred beautifully and heated too much. 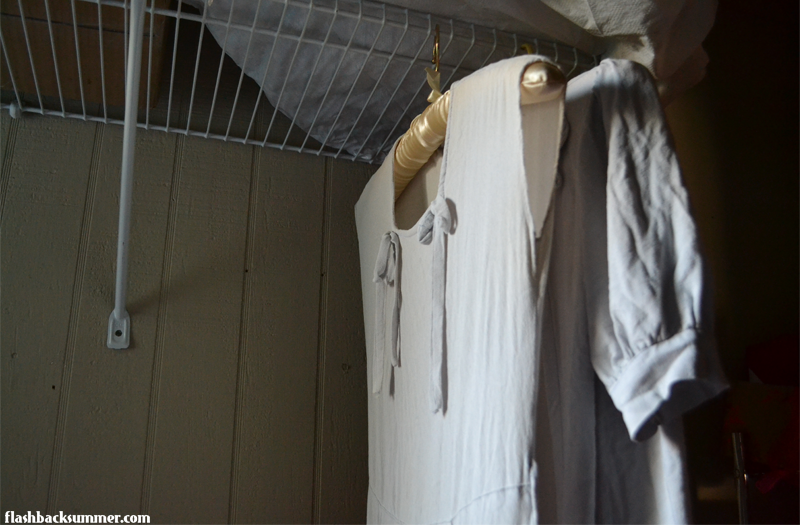 If you plan on dyeing rayon, listen to others. Do it in cool water. But do it with lots of stirring, 'cuz even though my pieces are now too small, they are beautifully, evenly dyed with no blotches! At least I got THAT part right! Live and learn. This is why you learn with vintage that isn't in good condition… In case you didn't know, bloggers aren't perfect and don't always do things right. Update: In a Twitter conversation with Rit dye, they affirmed that the dye does need to have a high heat temperature to set into a fabric. 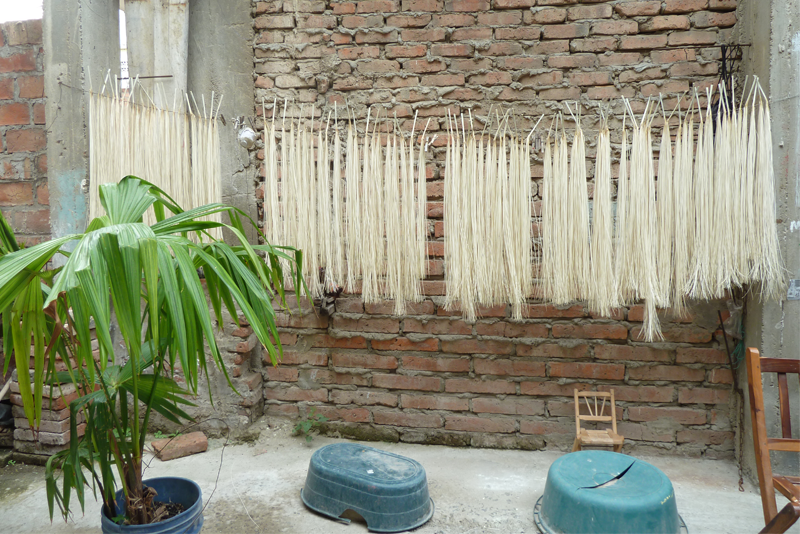 However, garments can still be dyed successfully by using warm water (if both the garment and intended dye color are light). The step for this post is actually an optional one, but I thought I'd take full advantage of having to take apart the whole suit in that last step. 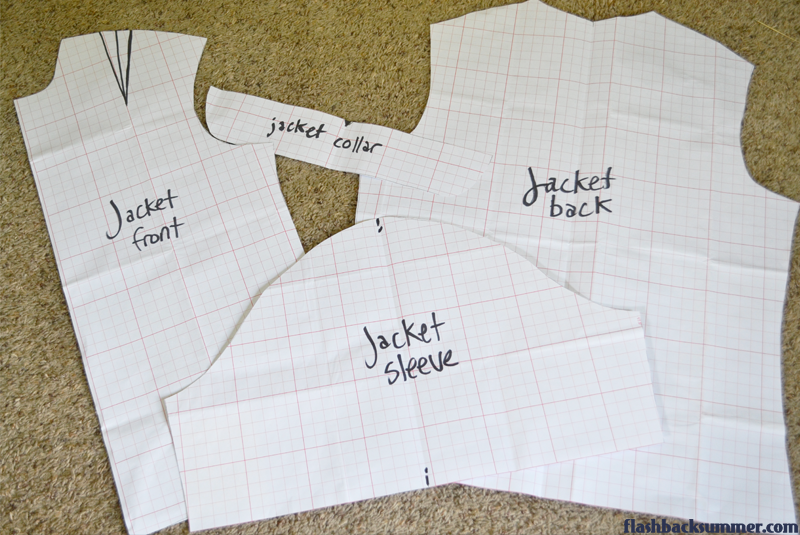 While it's all in pieces… I'm going to trace it for a pattern! Then I can reproduce it like crazy if I want! Then, yep, the rest is pretty self explanatory. 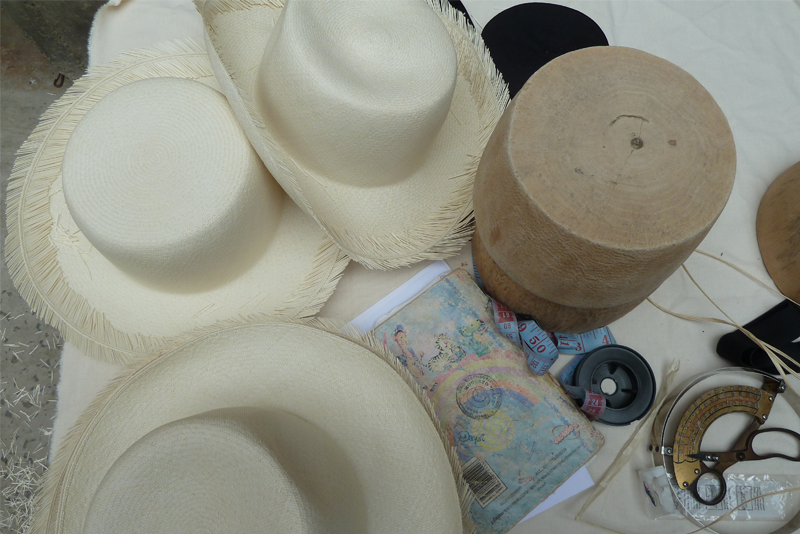 I laid out some paper and….. drumroll please….. traced the pieces! Although this dress didn't have much shaping, I made sure to include the darts and any other such bits for future renditions. Got them all labeled, and now I have a new-old 1930s pattern! 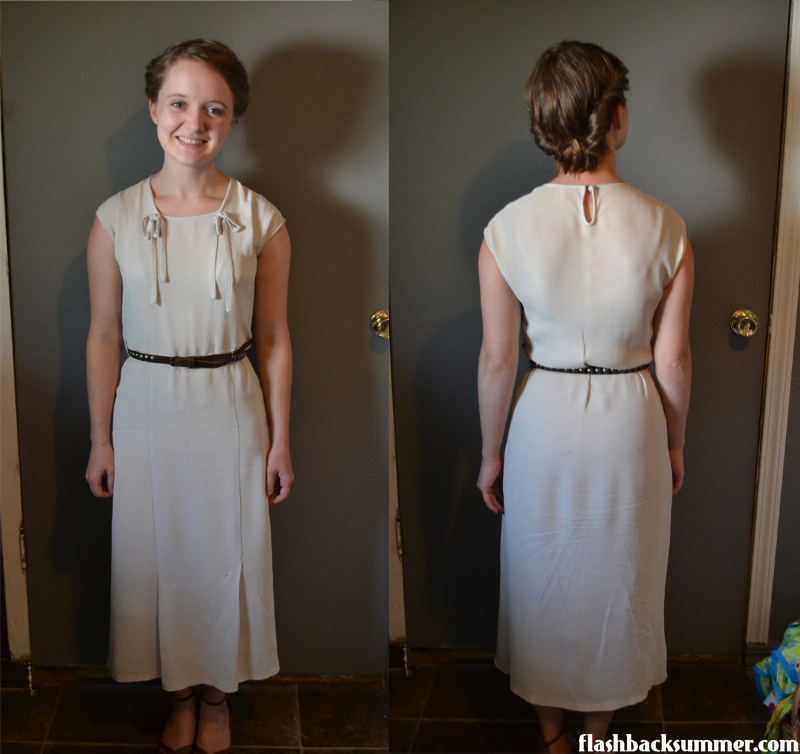 Introducing.... my first make do & mend project for the month! This one is a "go big or go home" project to start off the series with a bang. 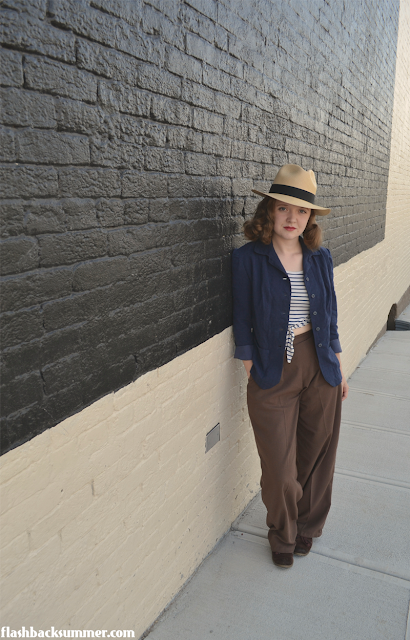 I have this 1930s gray suit that I bought on Etsy. It has a lot off issues including missing buttons, fraying seams, weird fading, and it doesn't fit me quite right. However, it's close to my size, has lovely fabric, and it's a perfect basic piece to fit in my wardrobe... if I can restore it to glory! 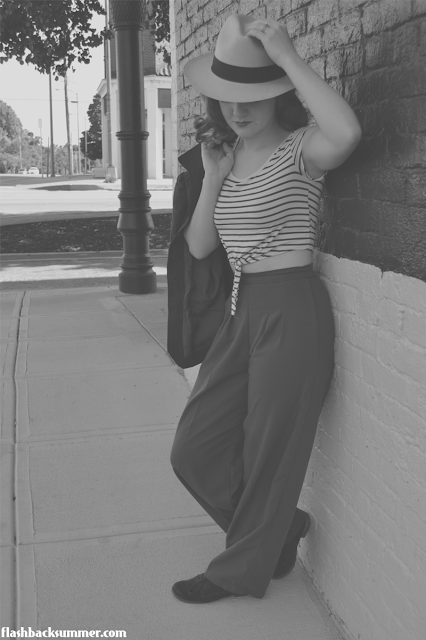 This post is going to be the first of several as I go step-by-step in my revamping process. I'll be utilizing the info from my 1938 book by Mary Brooks Picken, creator of a college for women that taught them lots of life skills. 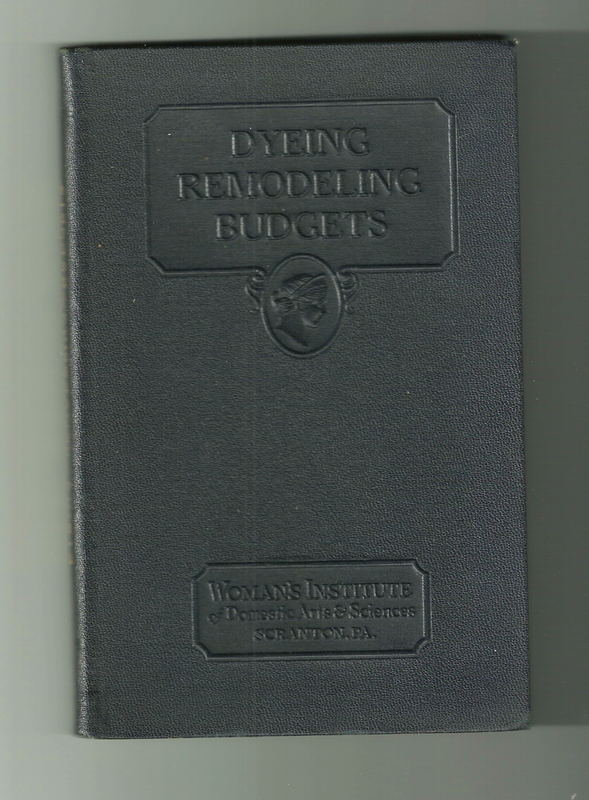 This book is part of a mail order course on dressmaking, and it is entirely focused on dyeing and refinishing garments. 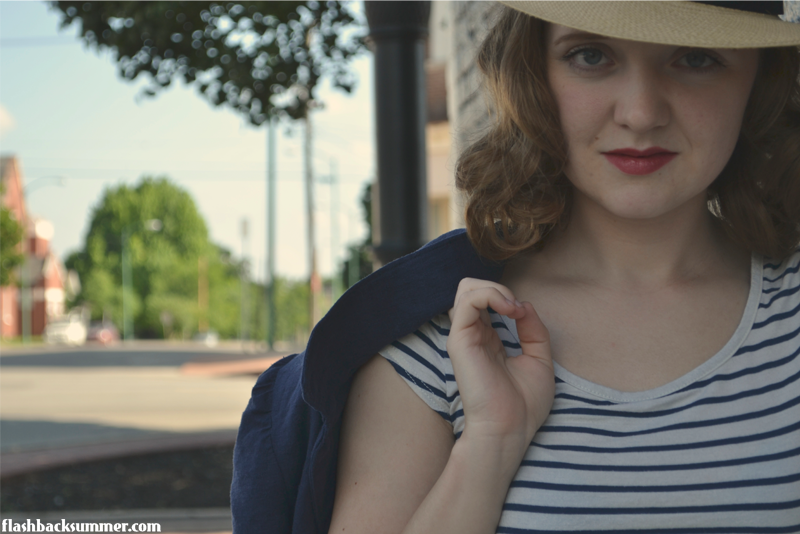 I'll be sharing snippets from the book and following the steps it recommends in making over this 1930s suit. I plan on repairing, dyeing, and slightly altering the size of this suit. I may also be adding some decorative elements at the end. 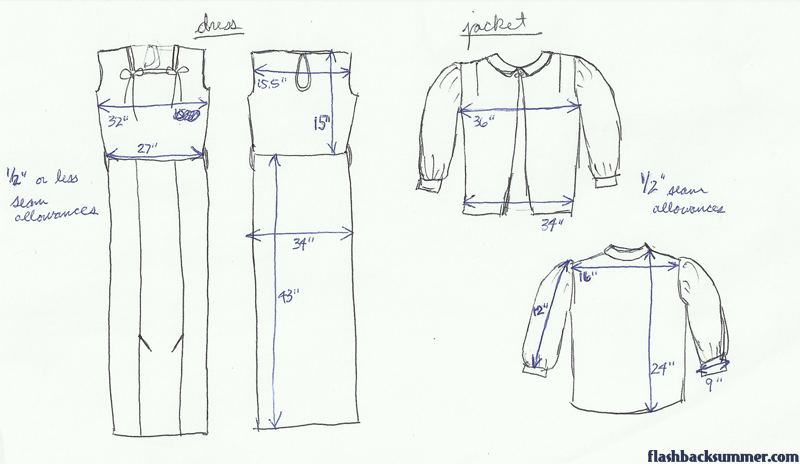 So, first up, you've got to prepare your garment for revamping. Remove any buttons or sequins and save them for later. (This will also keep them from being damaged in the steps ahead.) Treat the garment for any stains it may have and wash it according to its fabric. This suit is rayon crepe, so I washed it on a very gentle cycle with cold water in the washing machine and let it air dry. 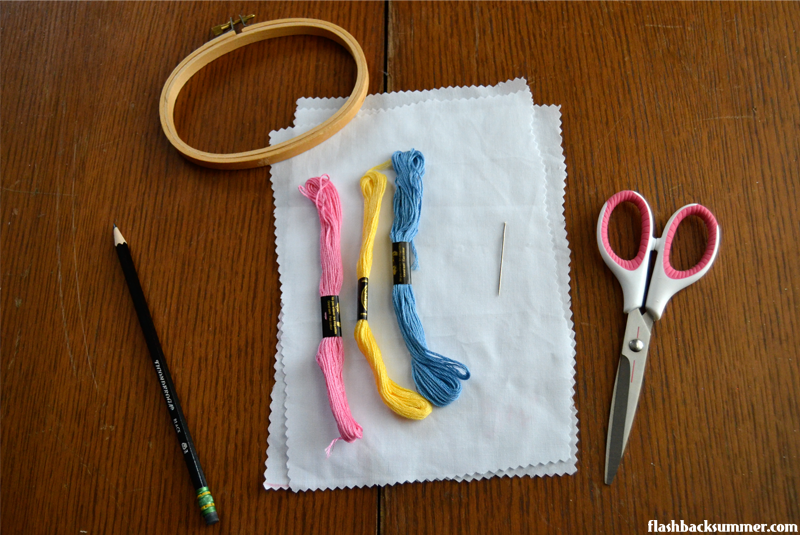 (This step is especially important if you're dyeing a garment. 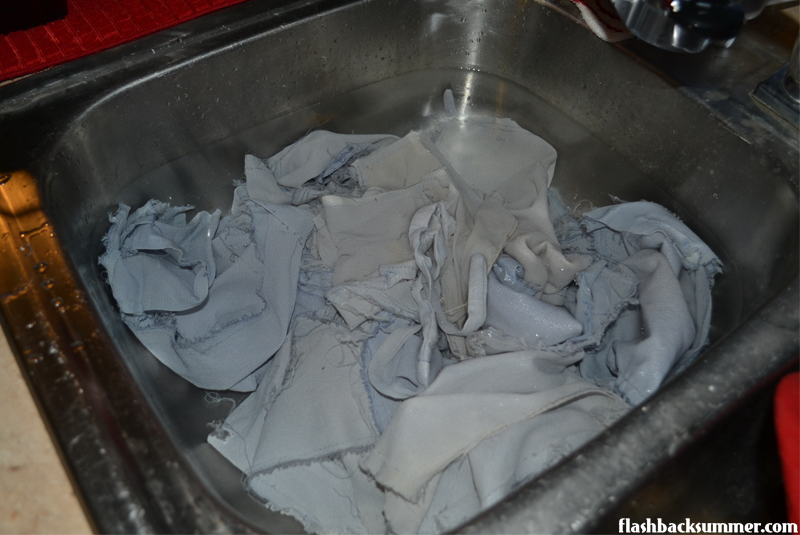 Oils and residues can mess up the dyeing process and leave splotches on a garment.) The instructions from the book below say to leave the garment wet until it goes in the dye bath, but since I'm making this into a several-day process, it'll be more practical for me to just re-wet it later. Next is the gut-wrenching part. As recommended by the 1930s book, it is best to unpick all the stitches in a garment and get it back down to its individual pattern pieces. So, I'm going to pop in a movie, pour myself a cup of tea and settle in for the night! My seam ripper and I are going to have a lovely evening. 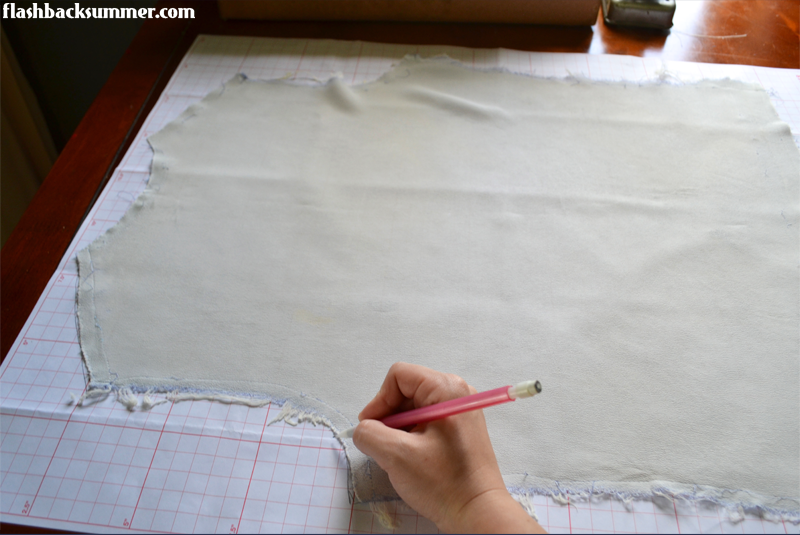 In the next post I'll be talking about tracing the garment pieces and the dyeing process, so stay tuned! 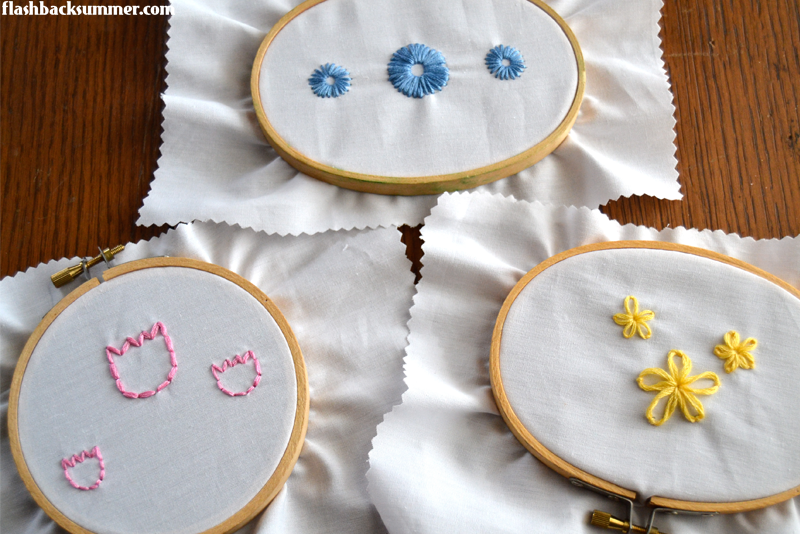 This month's theme is all about being content with what you have, and what better way to tangibly express that than to have a make do and mend project? It doesn't get any better than that! 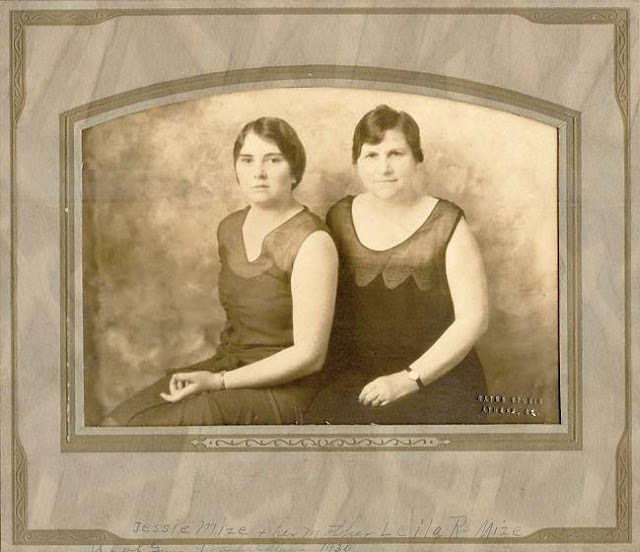 Whether through necessity because of a lack of finances or fabric rations, women back in the day made it a habit of altering the clothing they already had to make it feel fresh and new again. To me, this is a lost art! How many times, before discovering vintage, did I throw out a garment because it got a hole in it? How many vintage pieces do we overlook because of fading or discoloration, relegating it to the dreaded "as is" pile? Well, no longer! This month I will be going through the steps of a major make do and mend project, and I'll be sharing what I learn with all of you! I'll also have a couple smaller ones as well. Hopefully they'll inspire you to refresh the items you have in your wardrobe already, too! 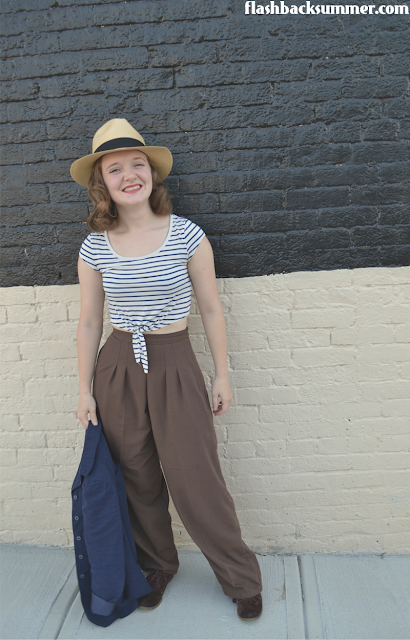 Here's a video highlighting some other ways women revamped their clothing. The robe made of scraps is my favorite! 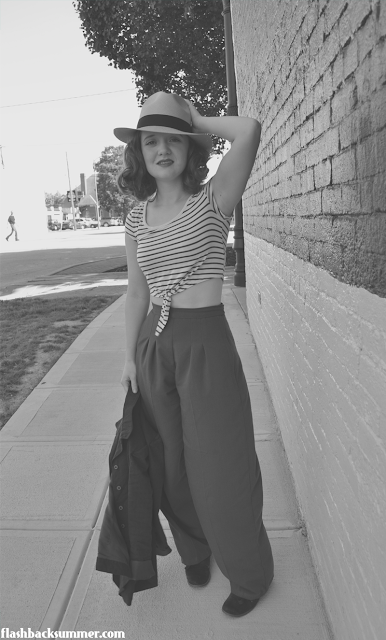 I think we vintage wearers live with this idea that women bought new clothes to follow all of the latest trends. 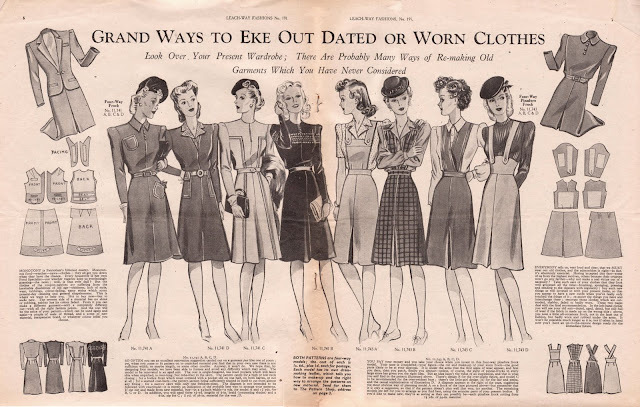 While I'm sure many wealthy ladies did just that, the vast majority of women, especially in the 30s and 40s, were digging in their grandma's attic to find clothes to re-do! 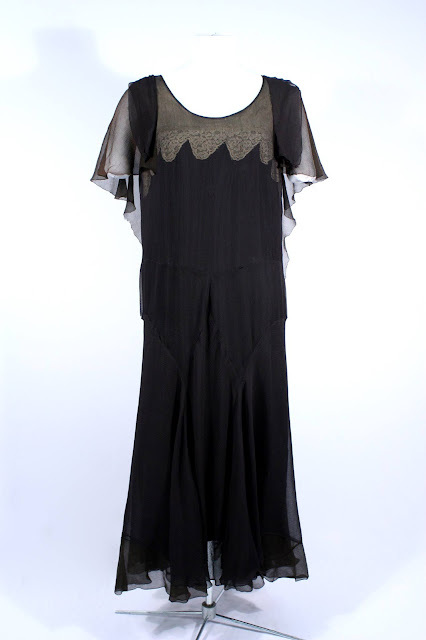 They reused beaded bits from old 20s dresses, the trims from their grandma's Victorian clothes, and added waistlines back to their flapper dresses when the 30s came around. While I'm not a huge proponent of the idea that we should alter all the vintage... we should use these skills to save vintage that might otherwise be thrown away, unwearable, or homely looking due to aging. Not to mention, there are no holds barred when it comes to altering the pieces we've sewn from scratch! I know I've made several projects that just don't work anymore, and I'd love to give them some updates. These classic make do and mend tips can help us learn to be content with the items we have while unleashing the creativity! What garment(s) just isn't working in your wardrobe right now that could be revived with a little creativity? What is your favorite vintage make do and mend solution you've seen on a garment? 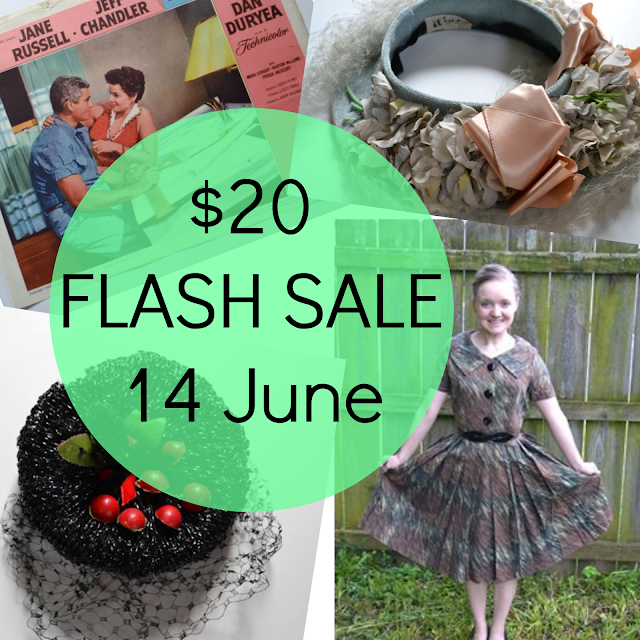 This Sunday, June 14th, I'm going to have a giant flash sale! All items are $20 or less and include pieces from both my personal collection and from when I sold things on Etsy, so there will be lots of sizes offered! Be sure to follow me on Instagram so you don't miss out! I'll post all of the details on Sunday morning (Central Standard Time), and the sale will last all day! If you could spread the word to folks you think would be interested, I'd HUGELY appreciate it. I need ROOM IN MY CLOSET, so everything needs to be sold! If you have any questions or would like to be tagged for specific things when I post them, leave a comment below! In the month traditionally known for being "wedding season," it can be easy to become discontent, to wish we were at a different stage of life, that things were like they were back then, that we were as great/smart/loved/pretty/happy as that other person. Something I'm having to work on these days is trying to stop wishing I was further down the road in life. "Someday, when I'm at my dream job…" "Maybe someday I'll be able to do this…" "It will be so much better when this is what my day looks like…" or "Man, it would be so much better if I could just be at this point in my life already!" For me, (I'm gettin' all personal and Bible-y here for a moment) this quote from a Christian leader in the Bible named Paul sums it up, "I know what it is to be in need, and I know what it is to have plenty. I have learned the secret of being content in any and every situation, whether well fed or hungry, whether living in plenty or in want. I can do all this through [God] who gives me strength. (Philippians 4:12-13)" There are some situations in life that are unbearable, that are so difficult, that are so hard I'm not sure how I will stand up under the pressure. I know that when I ask Jesus to help me carry a load that is too heavy for me, he's always there and ready to help. I can be content in difficult situations because God gives me the strength to get through another day, and I know I'm not going to crumble. So join with me and fight the man! 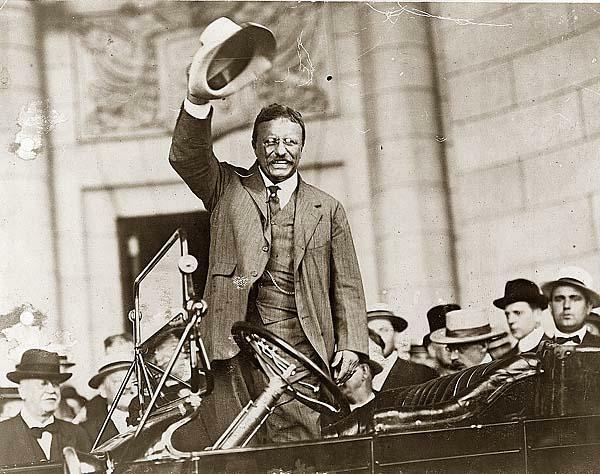 Rail against the machine of our society! Wave the contentment banner! Find those things, however small, that you can be content about in the moment you are in. Wear the dress that reminds you how awesome your legs are. Take a walk out in nature to admire God's creativity. Make time to grab coffee with that amazing friend you're so glad you have. I'll be tweeting and Instagramming something I have to be content about everyday using the hashtag #JuneContentment, and I'd love for you to join me! Use the phrase #JuneContentment, and I'll re-tweet/re-gram one every day. Let's help the vintage community embrace contentment a little more this month and, at the same time, remind ourselves of why this moment right now is great! First of all.... I don't know if you've glanced at the header or sidebar since coming to the blog, but you may have noticed a new blog design! It's a far better, more polished version of what I had been trying to do myself, but Brittany brought it to life and un-hokey'd it for me. That being said, I'm still updating and sorting things (especially on the new, more specific pages you can find in the navigation bar), so I appreciate your patience as I catch up on things! So, of course, I had to remedy that. My amazing friend Maureen offered to help me! 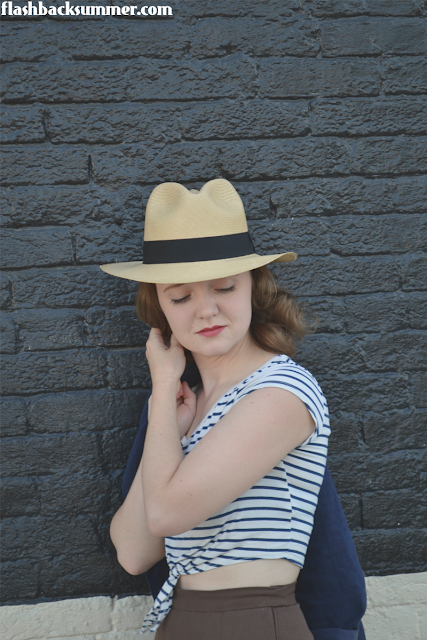 In this video I've got three looks that I've been wearing this spring. It may look a bit scattered as to the seasonality of each outfit, but that's because Missouri is being RIDICULOUS, as usual, with its spring weather. Only a few days ago I was wearing shorts and sweating, and today I wore a coat to work. Ridiculous.